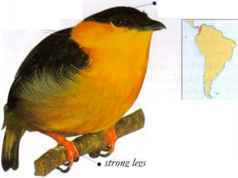 I his tiny bird occurs in the lower and middle-levels of rain forest and secondary woodland (regrown after forest clearance). 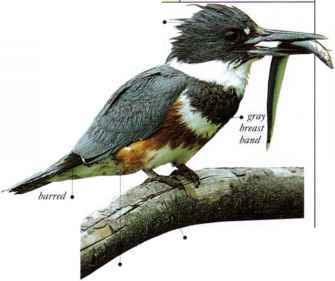 It is less conspicuous than other manakins. Males perform courtship displays at specially reserved sites known as "leks." The species feeds on small fruits and insects. • NEST Unknown, but probably a cup nest in a bush.